Proton-owned Lotus Group has disclosed a profit of GBP2m for the year to the end of March 2008 compared with a loss the previous year of GBP7m. It said that improvements in efficiency, careful cost cutting, together with steady sportscar sales and increased 3rd party engineering consultancy sales all contributed to the result. Commenting on the latest figures, Mike Kimberley, Chief Executive for Lotus Group International Ltd and Group Lotus plc said, "These results are a tremendous turnaround achievement for Lotus. I would like to thank all Lotus staff for their exceptional dedication and hard work to ensure the effective turn-around of the business. We are also tracking our strategic five year plan which enables Lotus to deliver an exciting new range of vehicles, develop and sell new advanced technologies through our extensive global operations and engineering client base and ultimately put Lotus on a greener and firmer footing and a consistently profitable commercial basis for the future." In the forthcoming year, a sales and technology alliance venture will be set up in India to deal with the increasing level of work and enquiries from there. Mike Kimberley said: "Clearly we are very closely watching the state of the global economy, and it is obvious that the world is changing very rapidly. Lotus, by being small and flexible, is set to deal with the new demands from our global consumer and business customers and over the last few months, the demand for our green and environmentally sustainable technologies has increased, with many of the world's car companies working with us on alternative fuel vehicles, electric and hybrid vehicle solutions and lightweight structures. "Lotus is now recognised as a world leader in research and development in these exciting areas of high technology, green and sustainable driving and we have a duty to share our advancements with the rest of the automotive industry for the sake of the future of personal transport and the car. We are proving that it is possible to have a guilt-free car in the future with desirable and enjoyable levels of performance, economy and sustainability and Lotus is one step closer to this utopian solution. 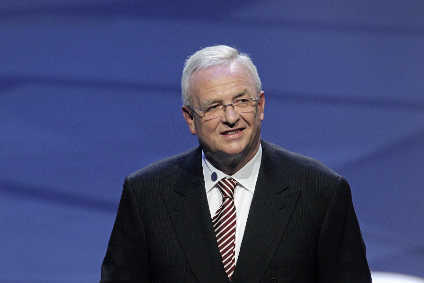 Lotus has taken the necessary steps to reduce the impact of the global financial crisis and will continue to do so." Lotus and Williams Advanced Engineering have announced a strategic technical partnership in which the companies will share research and development into advanced propulsion technologies. Geely - owner of Lotus - is reportedly planning to start producing Lotus cars in a new facility in Wuhan, China.